STAY TUNED FOR DETAILS ON OUR NEXT EVENT! Egypt Sherrod has been named “America’s most beloved real estate agent,” She is the host of HGTV’s all new “Flipping Virgins” and its top-rated show, “Property Virgins,” which ran for sixteen seasons. She most recently hosted HGTV’s 2016 White House Christmas Special, the 2017 Rose Parade, as well as the upcoming 2017 HGTV Urban Oasis® Giveaway. 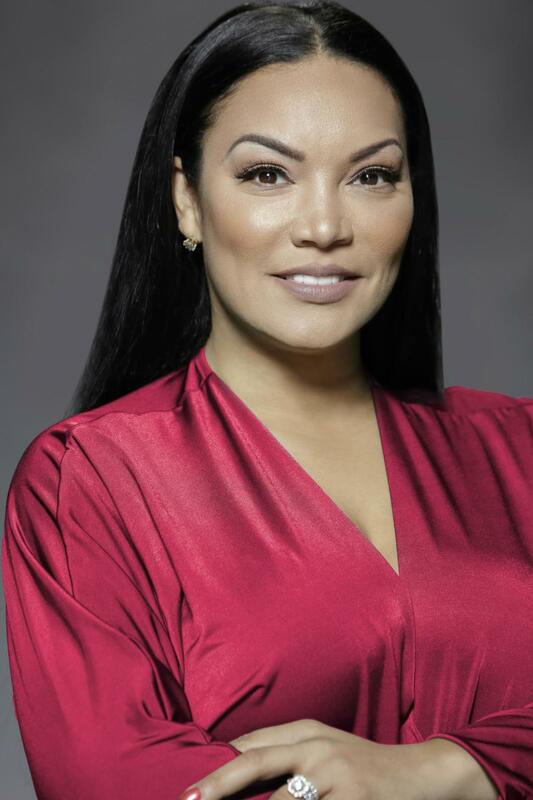 As an award winning Realtor® & CEO of the Atlanta based Egypt Sherrod Real Estate Group, she’s made recurring appearances as the home buyers/sellers “go-to girl” on NBC’s Today Show, CNBC, FOX, CNN, HLN as well as being featured on Fast & Company, Yahoo, Homes.com, Rolling Stone, Black Enterprise, and a host of other publications and digital platforms. Licensed in two states, Egypt is also the real estate columnist for Atlanta Magazine’s HOME. Egypt is the author of the NAACP Image Award nominated “Keep Calm…It’s Just Real Estate: Your No-Stress Guide To Buying A Home,” on Running Press/Perseus Books which became a bestseller in its genre. A powerhouse speaker and moderator, Egypt hosted the stage atOprah’s “The Life You Want Tour”, and countless business conferences. As a 20 year award winning radio personality, Egypt has been syndicated in more than 60 cities throughout the USA. To lear more about Egypt, click here ! Dr. Davis, President of SDS Global Enterprises, is an accomplished corporate executive, Global Workforce Management expert, a certified international speaker, and a master of reinvention. She has over 20 years of business experience and has worked at five Fortune 50 and 100 companies in various senior and executive leadership roles as well as in more than 20 countries. Most recently from 2006-2014, she was the Global head of Diversity & Inclusion and Workplace Strategies for the Society for Human Resource Management. She has been featured and quoted on NBC’s The Today Show, USA Today, NPR, in the Wall Street Journal, Essence Magazine, Black Enterprise Magazine, The Washington Post, to name a few. In 2015 she earned the highest designation in the speaking industry as a Certified Speaking Professional bestowed by the National Speaker’s Association, which put her in the ranks of only 12% of speakers worldwide. 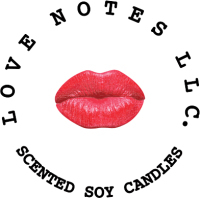 This past July she was inducted as the newest board member to the National Speakers Association. 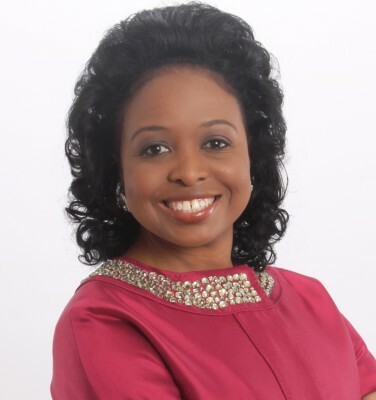 Dr. Davis is very active in her community and her church as an ordained elder, minister, and missionary. She holds a Bachelor’s in Pre-Law; a Master’s in HR Management; and a Ph.D. in Business and Organization Management and is a former Ms. American United States (2000-2001). Monica Dennis, RN, MS, CNE is a Certified Holistic Health Coach and Culinary Nutrition Expert! She founded and started Monica Dennis Health & Wellness with the vision of empowering and inspiring others to be the absolute Best Versions of themselves! 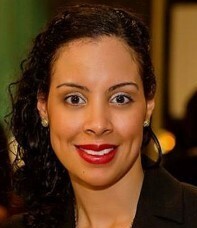 Her mission is to enlighten and educate our communities with tools to happiness, good health and success. In March 2017, she launched her latest brand, bZenfull! Whether at home or on the job, Monica’s exclusive membership and Corporate Wellness Programs are designed to improve the health and well being of our nation one person at a time. Monica teaches a step by step process to living a Heathy Lifestyle with Ease! As a wife, mother of two teens, business owner and with 8 years experience as a Registered Nurse specializing in Emergency Nursing, she understands first hand the challenges with managing chronic illnesses not resolved with conventional medicine along with juggling a healthy lifestyle, a career and family. Monica created the bZenfull Squad exclusive wellness membership program to help busy women achieve their health goals naturally and holistically through the strengthening power of clean eating, mental cleaning and fitness thru a virtual group setting. Her holistic practice provides her clients with customized weight loss programs, mind & body cleanse programs, assist with reducing food and sugar cravings, increasing energy and managing stress. She is a graduate of University of Maryland, where she received her Masters in Nursing, and also attended The Academy of Culinary Nutrition where she received her certification as a Culinary Nutrition Expert. She is the Vice President for the Raleigh-Durham chapter for the National Association of Professional Women, she is a VIP member of The Pinkpreneur Network, she is an active member of Delta Sigma Theta Sorority Inc. and she is very exciting about her newest project “Teach with Zen,” which is a Wellness Program aimed to improve the wellbeing and health of our Teachers in the Durham and Wake Counties Public Schools! 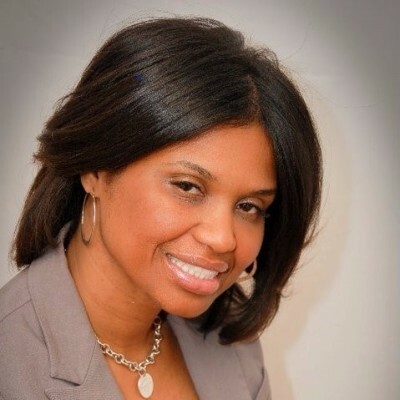 Karen Shayne is an entrepreneur, executive, speaker, producer, television host, and non-profit leader. But most of all, she is southern as sweet tea. For 20+ years, this Georgia native and Tennessee transplant spent her life career in health care as an administrator and developer.I n 2009, Karen's work brought her to television. Karen created an award-winning healthcare segment, "On Modern Age," seen each week WSMV-TV Channel 4 NBC and WTVF-TV Channel 5 CBS. She also became a monthly correspondent for other television media programs to discuss current issues effective healthcare and hosted a radio show on Salem Media Network. It was 2012 when she found her 2nd Act and created the Women Survivors Alliance. A 501c3 non-profit with the purpose of the establishing a network where women affected by cancer can find their voice, improve their quality of life, and embrace their 2nd Act, the Women Survivors Alliance mission speaks to cancer survivors from around the world through their multiple ribbons of support. Shayne was approached in 2015 by a media company to develop an OTT talk show geared toward her expanding demographic of women searching for meaning in life. By spring 2016, Shayne teamed up with Producer/Director, Philip Bradley, and successfully created and produced "Living Inspired", a talk-show true to its name, featuring human interest stories of people overcoming significant life challenges and then inspiring others to overcome their own hardships. Soon after, the duo formed New Focus Network. NFN is a digital media and broadcasting company headquartered in Nashville, Tennessee. New Focus Network (NFN) is owned by award winning producers, directors, and administrators in the media industry. NFN programming includes a mix of original creative lifestyle programs, specials, and documentaries. NFN is a channel available on Smart TV platforms Roku, Apple TV, Google TV, Chromecast and Amazon Fire. To learn more about Karen, the WSA and NFN, click here ! Me'chelle is a Blueprint Leadership Strategist! CEO of 3rd Degree Solutions, her successfulcareer has taken her around the world offering powerful and exciting life changing platform opportunities to speak before thousands. She empowers them with "Blueprint Leadership Strategies" to take on great next steps in their careers and personal. and Religious Leaders & Institutions. 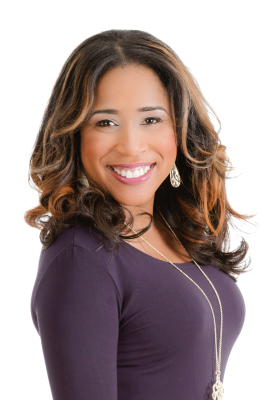 Engaging audiences with a strategic sense of purpose, humor and a full dose of reality, Me'chelle provides tips, tools and techniques to deliver a "Blueprint of Clarity and Connection to the Future”. People leave prepared and armed with knowledge that will springboard them into their vision and goals with confidence! Learn more about Me'Chelle here ! Frankie is the founder and president of Talk Health with Frankie Co., Inc., a 501c3 non-profit organization. The mission at Talk Health with Frankie is to change Durham, the city of medicine, into the city of health with a Holistic Medicine approach. Frankie's organization is driven to implement change in a community that is struggling to decrease statical norms by reinventing the way the community views well-being and health. Frankie is the mother of three awesome children, Jamil, Robert, and Vanessa, whom she credits for making her life feel whole and exciting. Frankie has worked in the field of medicine for the last 14 years. Her career began at Overlook Hospital's outpatient Oncology center in Summit, New Jersey. It was here that Frankie realized how fragile life can be. She witnessed countless people struggle for life while fighting the ugly face of cancer. It changed the way she viewed everything and gave her a greater appreciation for life, love, and happiness. After relocating to North Carolina in 2008 (following a divorce), Frankie strongly yearned for a new direction and a better understanding of herself. It was during this trying time she developed a greater understanding of health and began a new educational journey towards alternative medicine. She started working at UNC Durham Family Practice (now Durham Family Medicine) as Dr. Mohan Chilukuri's right hand and now the Clinical/Nursing Staff Supervisor. Together they work with patients to motivate and inspire healthy lifestyle changes that prevent and reverse degenerative diseases. Frankie has accomplished many goals over the last 9 years which include: raising over $25,000 for the Leukemia and Lymphoma Society and completing 6 half marathons, opening two businesses, and raising her children to be loving, respectable, and positive contributors to society. Most importantly, She is now able to live out her purpose...helping others find happiness and healthier lifestyles. Frankie attended The Institute for Integrative Nutrition where she gained her board certification as a Holistic Health Coach. She has studied hundreds of dietary theories and practiced many food-based therapies. She has also obtained board certification as a Holistic Health Practitioner, Licensed Zumba, Zumba Kids, and Zumba Kids Jr Instructor. Her primary goal is to help as many people as she can develop the skills and obtain the knowledge needed to live a happy, balanced life. Rachael Boone, Human Relations Expert, is the founder of Solutions Life Coaching, LLC & Associates dba BeEvolvedHR based in North Carolina. Rachael is a member of the John Maxwell Team of consultants. Rachael’s vision for her company was created out of her desire to inspire, empower & educate individuals who serve as the leaders of today and tomorrow. Her focus as a speaker, trainer & educator is leaders, entrepreneurs and individuals currently on the path of their own career & personal development. Rachel personally believes in and lives by the motto of “everybody matters” regardless of where anyone is today in relation to their race, socio-economic status, gender, religious beliefs or previous life exposures & experiences. For more than ten years Rachael has been a valued resource to both private and non-profit organizations, where she has served as a member of the leadership team or consultant for these organizations in the areas of human resources management, corporate compliance, and quality management outcomes for staff and company growth & development. These companies included Fortune 500 companies such as IBM and Thermo Fisher Scientific. “I dare you!”, “Bee inspired”! and “Do it afraid!” are some of the life changing affirmations that you will hear when attending one of Rachael Boone’s dynamic conferences, seminars or trainings. Rachael teaches, speaks and coaches individuals and companies on the necessary skills to become grounded in all human interactions while leveraging the advantages of technology. She offers practical teaching and hands-on learning exercises, combined with a keen sense of humor to enhance and complement each experience. As president of Solutions Life Coaching dba BeEvolvedHR & as a adjunct professor on for students of higher learning, Rachael has lead seminars focused on “Soft skills training” “Conflict Resolution”, and “What Does Your Non-Verbal Signal Say About You?” She has taught courses in project management, career development and information technology. Professionals and students always provide positive feedback regarding the real, relevant and practical knowledge learned from Rachael’s session, which leaves them more prepared for present or future career opportunities as a leader in an ever-changing workplace culture. Rachael values continued professional development and networking. She serves as a member of several professional organizations, including the local Toastmaster® Chapter in Raleigh, North Carolina. She also serves as a resource and facilitator for “Pink Slip Parties,” which are catered to individuals who have been impacted by downsizing and layoffs and which brings together HR professionals in conferences. Rachael demonstrates her personal investment in her own community and in the mission of her company by “paying it forward” and by serving as a volunteer who creates mentor programs to serve youth in underserved communities. Rachael ensures that these youth have exposure to skills, knowledge, and training that will allow them to break cycles of poverty, to increase their hope, and to reinforce the fact that someone cares about them. Karen Clark, a Durham native, is a graduate of the School of Journalism at the UNC- Chapel Hill. Her desire to pursue a career in broadcast led her to a 4-year stint in commercial radio. Karen’s experience included on-air work G-105 (WDCG) and K97.5 (WQOK) in Raleigh, North Carolina. Karen’s radio experience led her to a Promotions Manager position with Columbia Records. While working with Columbia, Karen promoted and marketed albums for national recording artists such as Mariah Carey, Will Smith, Beyonce Knowles, Wyclef Jean and many others. This promotions position was Karen’s first foray into event planning, allowing her to coordinate parties, autograph signings, performances and regional itineraries for dozens of artists. After three years with Columbia Records, Karen landed a position with West Coast based Capitol Records. Capitol Records boasts an impressive roster of artists including The Beatles, Coldplay, Corrine Bailey Rae and Snoop Dogg. Karen is currently the Midday On-Air Personality at Foxy 107.1/104.3 (WFXC/WFXK.) She enjoys cooking, working out, playing with her young son and volunteering in the community. 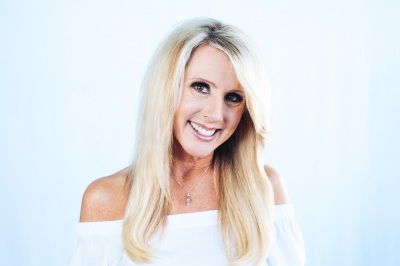 Crystal McCorkell is the co-founder and producer of the ReConnective multi-media Broadcast Company. She is a host along with her husband Richard of Coffee & Cream TV based out of Raleigh, North Carolina. She is the founder of the Women's Affirmation Forum, an enriching symposium that supports, inspires and empowers women to encounter deep-rooted wounds, hurts and disappointments that begin the process of healing in an intimate and trusting environment. 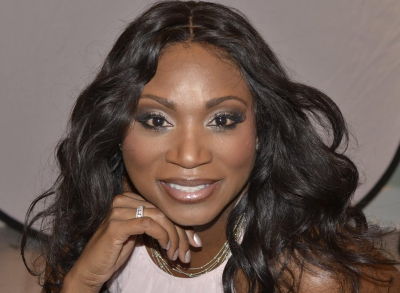 Crystal is the owner and operator of the The Pink Moon Wigs and Hair Collection, a hair replacement studio in Raleigh, NC that caters to those who suffer from hair loss due to Alopecia, Chemotherapy and other hair loss issues. 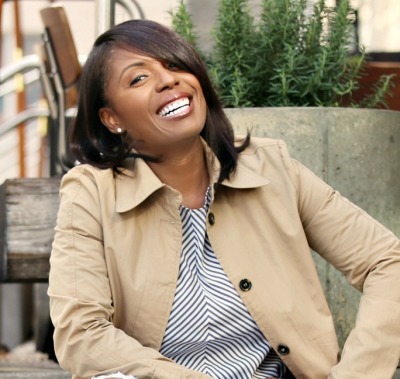 With extensive experience in acting, drama, stage production, set design and script development, Crystal has been an invaluable resource to The ReConnect's mission and presentation. As a public speaker, she has enriched the lives of various audiences and platforms. She is a also a volunteer co-host with her husband on TCT/WRAY Triangle Alive and Public Report in Wilson, North Carolina. She is a native of Philadelphia, PA, she now resides in North Carolina. She studied biology at North Carolina Central University.